Gitanjali Rao is that precious drop of water in this vast ocean of life. The 11-year-old was determined to lend a hand in matters bigger than herself and concerning the world at large – water contamination. Inspired by the water crisis in 2014 that had Flint, Michigan in a chokehold, where residents battled against high levels of lead in drinking water, Gitanjali decided to make the world’s concern her very own. Named after the Greek Goddess of fresh water, Tethys is the brainchild of Gitanjali Rao. The seventh-grader from the suburb of Lone Tree, Colorado, realized that testing water for lead contamination was a rather complicated process and hence sought out to design a cheaper, more reliable and convenient method to do the same. 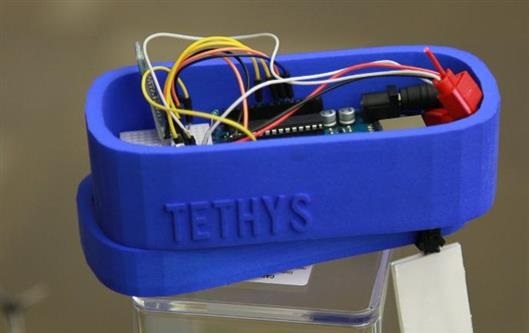 Tethys quickly detects lead compounds in the water with the help of carbon nanotubes and sends in the result of the water status to a smartphone app. With the support of her parents, Bharathi and Ram Rao, local university experts, and the help of her teachers and mentors, Gitanjali invented a mastermind solution to the growing problem of drinking water contamination. 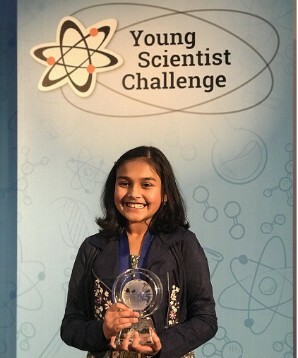 All thanks to her invention, Gitanjali won the title for 2017 Discovery Education 3M Young Scientist Challenge. 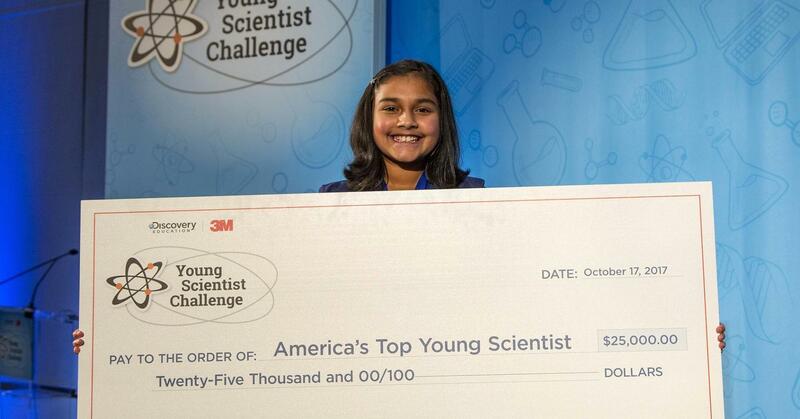 She was bestowed with the honor of being America’s Top Young Scientist. As for the reward, she took home a whopping $25,000. She was one among 10 finalists who were chosen for the running to become a well-respected and celebrated young scientist. With the money she has won, she plans to further develop her device and make it available commercially. She also plans to give back to the organizations she had earlier volunteered for and for the remainder of her prize money, she plans to invest it in her college fund. The Young Scientist Challenge is a competition for middle school students in the United States whereby you submit a 2-minute video that briefly introduces your idea for an invention that can solve an everyday problem. Ten finalists are then selected and provided with resources and the personal mentorship of a 3M scientist, alongside who, they work to turn their idea into reality. The winner of the competition takes home $25,000 and the prestigious title of America’s Top Young Scientist. Gitanjali’s advice for anybody who has an idea in mind is to not be afraid in executing it. You shall never know if you don’t try. One should not be afraid of failure in taking the first step because, after all, it is the stepping stone to success. The young girl’s love for science and her desire to do something wonderful for the society carried her through this amazing journey that has been one full of adventure and learning.